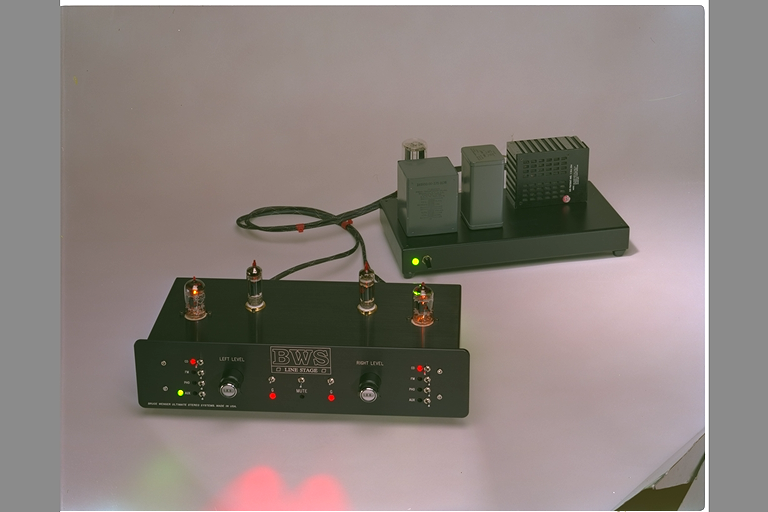 I began designing preamplifiers in the 1970s, and my goal was to craft designs that created minimal degradation of the source signal regardless of their switching, amplifying, or buffering duties. 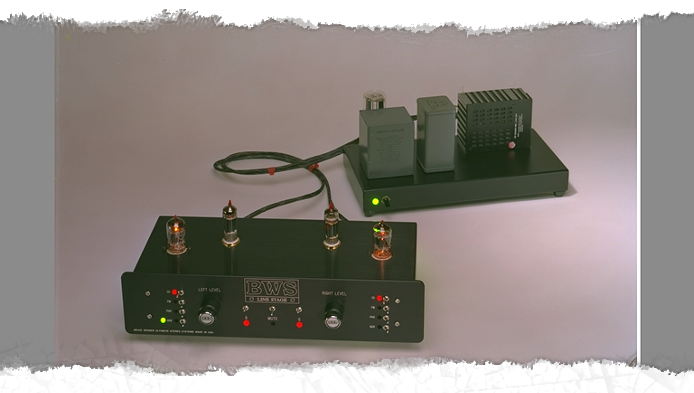 I was strictly into creating high-end audiophile phono preamplifiers, and after 10 years I had developed two very successful designs. At that point in time, I had no interest in digital audio and was still only using analog sources. My curiosity and thinking were piqued however in the early 1990s when I noticed that many designers were attempting to achieve good sound from CD players by running them through spatially colored and warmly voiced vacuum-tube preamplifiers. When I listened at audio shows, I was convinced that many of those preamplifiers were unable to track the highly dynamic signal coming from the system’s CD player. I believed that the preamplifiers were degrading the sound by adding harmonic distortions to the source signal. 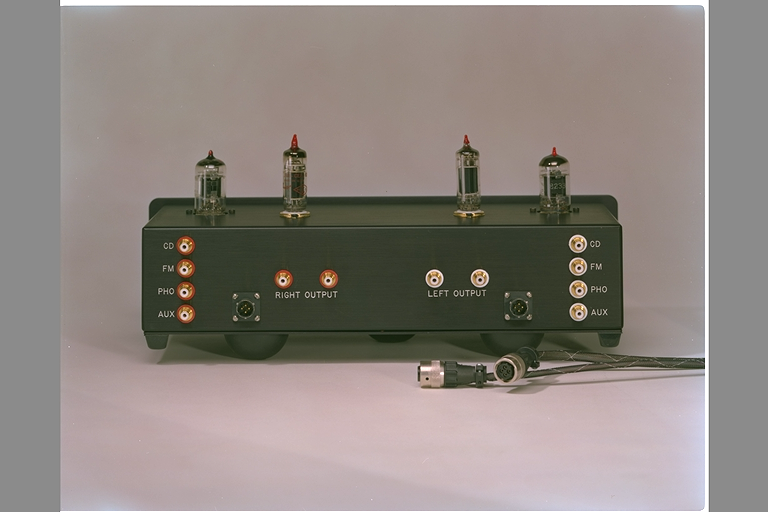 Up until the introduction of the CD player, everybody had been designing preamplifiers that processed signals produced by analog record players. Designers were now dealing with a new type of animal, and it was clear to me that CD players posed quite different challenges. One could not tame the sound by slowing it down with tricks like adding time and phase distortions. I was now starting to get interested in CD reproduction, and I knew my direction: develop an optimal preamplifier for CD reproduction. At this point I had been designing and re-engineering preamplifiers for 15 years, and I had developed excellent phono preamplifiers with low noise and low distortion. So, for the first tests, I listened to a player that I was modifying through the line section of my best phono preamplifier. The sound was too strident and sharp because the I had too much signal level to deal with, and because the audio signal was being processed by so many solid state devices. Since the innate transparency of the preamplifier was showing the inconsistencies in my CD player, I went to work designing a preamplifier that could track the extended dynamic range of the CD signal and handle its high voltage levels, while at the same time adding body to the sound, making it more palpable. The result: I created a low-gain vacuum tube preamplifier that incorporates very high speed vacuum tubes with ultra low-distortion signal input pads. The preamp is designed to create body in the sound presentation by tailoring the audio signal at its frequency extremes. When this is carefully done, it doesn’t audibly distort the sound. The BWS line stage is that creation. The design is executed with minimal point-to-point internal wiring, isolated contact switching, and separate left and right audio circuits. In addition, the design uses matched pairs of instrument grade 10-turn volume potentiometers, to maximize channel separation and achieve perfect channel balance. Besides these audio layout features, the design uses exotic parts such as RCA jacks made of gold plated oxygen-free copper, Teflon jacketed wire, and silver plated contact switches, all of which are cryogenically treated. The tubes I chose for the design, are the Amperex 8233, and Bendix 6900 or 6094, which are scientifically treated and tested prior to installation. 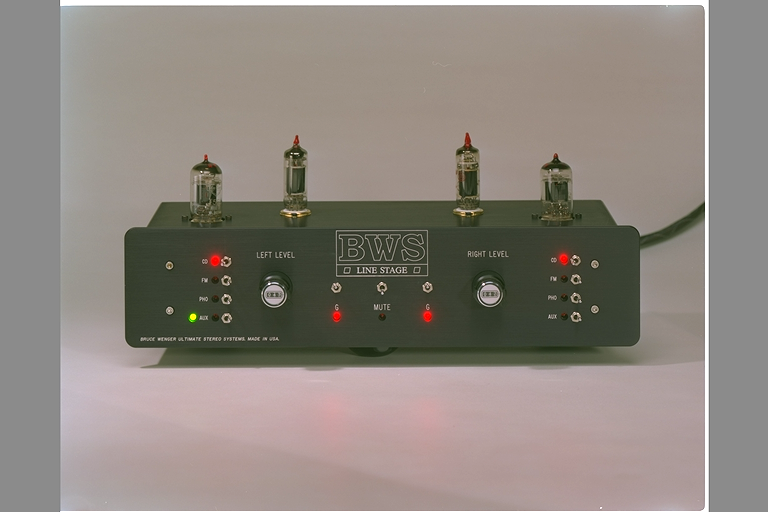 The unit shown here, uses a state-of-the-art tube rectified outboard power supply, which provides both channels with filtered, isolated, direct current. My power supply design achieves low background noise and extremely high resolution sound, but this is the most basic supply I use. For ultimate performance I do offer several levels of custom designed tube regulated DC supplies and regulated dual-filament supplies. Back Side- Audio Inputs And Outputs.